One of my least favorite topics to think about, especially now that I’m self-employed, is taxes. But unfortunately, at the end of every year, I have to prepare and file my returns. If you’re self-employed and looking for a better way to keep track of your business expenses throughout the year, Hurdlr might be the tool you’ve been waiting for! Hurdlr helps you organize and track your business income, expenses, and taxes, which helps take some of the stress of filing taxes off of you. It also tracks your mileage if you drive for your business. Basically, Hurdlr helps you organize and track your business income, expenses, and taxes, which helps take some of the stress of filing taxes off of you. The tool helps you know how profitable your business is at any given moment, because all of the figures are in real-time. You can connect Hurdlr to your business bank accounts so you always know exactly how much money is available in your account. Plus, any expenses you pay out of your business account will automatically be added and categorized by Hurdlr. You can also use Hurdlr to send invoices. But, even if your business uses other applications for some of these services (ie FreshBooks! ), that’s ok. Hurdlr may be able to connect to and work with them. Hurdlr has an application program interface, or API, that works with many other systems. When it comes time to file taxes, not only will you have all of your business income and expenses accounted for in Hurdlr, but you’ll also be able to use Hurdlr to help you find tax deductions. When it comes to taxes, Hurdlr will make those easier for your business as well. It can help you find deductions you might have otherwise missed. Hurdlr estimates that the average user finds over $5,600 in tax deductions! There are lots of great features that make Hurdlr an outstanding app to keep track of your business finances on the go. Here are some of them. Before you can manage your business expenses with Hurdlr, you need to enter your income. Once that information is in the app, it will track and deduct expenses as well as taxes, so you always know your true financial status. 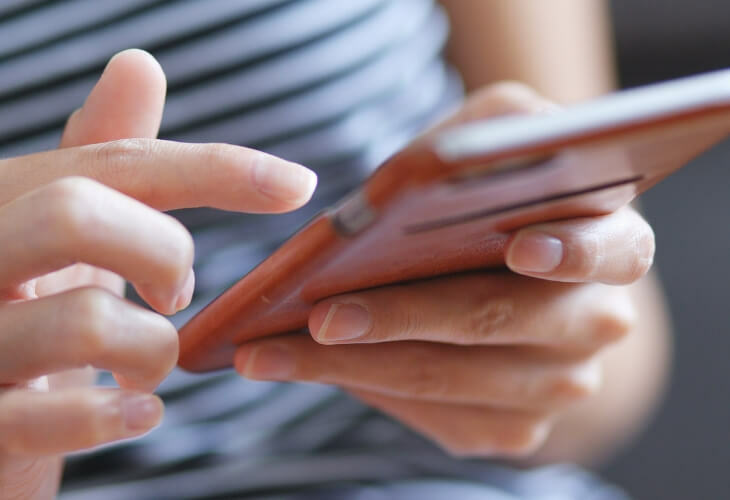 If you get paid through an app, such as PayPal or Square, instead of directly into the connected bank account, Hurdlr may be able to work with it. Connecting apps with Hurdlr’s API prevents you from doing the extra work of duplicate entries. As mentioned, you can also track and categorize your expenses with Hurdlr. Start by linking your bank accounts in addition to debit cards, credit cards, PayPal, and other payment apps. If these don’t get all of your business expenses, for example let’s say you paid for something in cash, you can still make manual entries into Hurdlr. Having this capability makes sure none of your business expenses are missed. Then, as you pay business bills, you’ll know exactly how much you’ve spent and what you have left. Do you have frequent business trips, meetings, and appointments? If so, you probably try to capture mileage in addition to all of the other expenses associated with business travel. But if you’re like many traveling business owners, you might forget to document mileage from time to time. When you use Hurdlr, you can stop worrying about it entirely because their app does it for you. All you have to do is tell the app if your trip was, or wasn’t, for business purposes. To capture mileage you will have to leave Hurdlr running on your phone in the background. Doing this could deplete your battery a little quicker and might be a potential disadvantage of using this app. Of course, charging your phone more often might be worth it if you travel a lot for business. It sure beats using a pen and paper to keep track. Plus, even though there are plenty of other mileage tracking apps, it’s nice that Hurdlr has this built-in with all the other features, making it more of a one-stop shop for business finance tracking. Hurdlr makes tracking business finances easier by helping you estimate taxes. 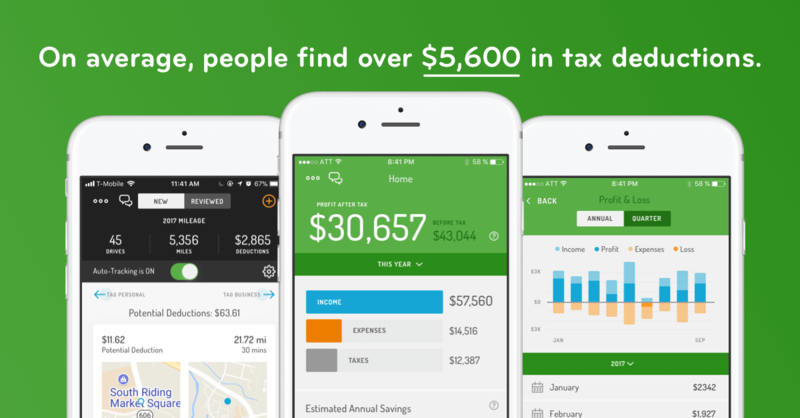 As you enter your income and expenses into the app, it estimates how much you’ll owe in taxes. Whether you pay taxes throughout the year or only at the end, Hurdlr will keep tabs on what you’ll owe. That way you can save for it and have the money ready when it comes time to pay your tax bill. One nice thing about Hurdlr is that you don’t have to pay to give it a try. The app has several features that are available for you to use for free. Plus, even if you do pay for the app, it’s only $7.99 per month (or less if you pay annually) for the premium version. After testing out the free version, you can upgrade to the Premium version of Hurdlr at any time. The Premium version costs $7.99 per month, which is a lot for an app in my opinion. However, if pay annually, it’s just $4.99 per month. Although I still hardly ever pay for an app, consider that something like FreshBooks which may have fewer features (no mileage tracking, and no help with finding tax deductions) is going to cost you more. For me, those last two need some defining, but I couldn’t find more information about that on their website. Hurldr also has an Enterprise plan that is tailored to your specific business and, therefore, priced individually. Clearly, Hurdlr isn’t the only way to track business finances. There are other apps and tools you could choose. Here’s how Hurdlr compares to a couple of other popular products. One other app you could choose instead of Hurdlr is QuickBooks. It has similar features to Hurdlr, such as income tracking and tax estimation. It also connects with PayPal and many other apps you may currently be using. Much like with Hurdlr, you can link your bank accounts to QuickBooks to make managing business finances easier. You can track your expenses through the QuickBooks app too, and if you need to enter some expenses manually, that’s also fine. Not everyone is aware that QuickBooks allows you to track trip mileage automatically. This probably uses less battery than the Hurdlr app. But, a drawback of using QuickBooks is the cost. In comparison to Hurdlr, it is quite a bit more expensive. You can try out QuickBooks for free for 30 days. But, the monthly charge for the Simple Start plan, which is the lowest plan, is $10 per month. QuickBooks does have a more basic plan for those who are self-employed. It comes at only $5 per month but does lack many of the features of the other plans. Read my QuickBooks review here. The tool I personally use to manage my business expenses and income is FreshBooks. I can create invoices and accept online payments through it to track my income. It also integrates with Square, PayPal, and many other apps. Connecting my bank accounts and credit cards to FreshBooks is easy to help avoid having to manually enter transactions. But, I can also add things manually if needed. One thing that Hurdlr offers that FreshBooks does not is the ability to track mileage. However, Freshbooks does integrate with MileIQ to track mileage. Currently, I use FreshBooks for most of the business tracking and a separate app for mileage, so using Hurldlr could be an option that would allow me to do everything in one place. However, one thing I really like about FreshBooks is the ability to give limited access to my accountant. I can create a separate login with limited access so he can get the reports he needs for my taxes. Everything is already neatly categorized making deductions easy to figure. Read my FreshBooks review here. When it comes to cost, you can try FreshBooks free for 30 days. Beyond that, the Lite plan is $15 per month for up to 5 clients. The next plan is the Plus plan which costs $25 per month with considerably more features and up to 50 clients. There’s also the Premium plan which allows up to 500 clients for $50 per month. The highest plan is FreshBooks Select which is for high volume businesses. If you’re wondering why staying organized for filing taxes is such a big deal for those who are self-employed, check out these factors. There are a few reasons that filing taxes when you’re self-employed is much more of a headache than if you’re a W-2 wage earner filing taxes. When you’re an employee or a W-2 wage earner, your employer withholds taxes from each of your paychecks before you receive your money. To me, this is helpful because you don’t feel as much of the pain as when you’re self-employed. For example, whenever I get paid by a client, I have to mentally (and physically/electronically) set aside a large portion of my money for taxes. I see the amount I have to take out for taxes and it hurts. However, this pain of setting aside money for taxes is still preferable to those who don’t do it and end up with a giant tax bill at the end of the year and no money set aside to pay it! I’m not sure if I like quarterly taxes or if I hate them. They do make the end of year tax bill much smaller since I pay taxes throughout the year. Lastly, you have to keep track of a lot more information yourself when you’re self-employed. Keeping track of your expenses will save you a ton of money on taxes, but it can be a huge pain in the you-know-what, especially if you don’t have a good system or tool to help you keep track of things throughout the year. Even though tax time comes around at the same time every year, not everyone makes it easy on themselves. Some people let paperwork fall into disarray and end up spending extra time to clean it up and get organized before filing taxes. Here’s why it is super important to manage and track your business expenses throughout the year. As mentioned above, when you track business expenses well, it avoids wasted time. This means keeping paperwork and electronic records filed neatly and accurately. When you keep track of your documents with the Hurdlr app, you won’t spend time searching for stuff. Instead, receipts, invoices, and other records will be easily accessible when you need them. In addition to saving time, you can save money by tracking business expenses better. Having records easily accessible means your tax preparer won’t spend time waiting on you to find information. Since their time doesn’t come cheaply, the quicker you find what they need the less it costs you. When you own a business, waiting until year-end to find out your final tax bill isn’t helpful. It’s much better to keep track along the way. Then, you can make business decisions that could lower what you’ll owe. As you can see, there are a lot of great reasons to use a tool or app to track your business expenses. There are lots of ways to do it and many apps that can help. However, with the great features Hurdlr offers, it could be a good choice for your business. Have you considered trying a business expense and income tracking app yet? Why or why not? I just saw an add online for Hurdlr, so I was wondering exactly what it is. I think it’s quite odd that I’d see an add and then I’d come across your review on it. I almost feel like this is one of those super-targeted ads! (I kid, I kid). Thanks for the thorough review, though. My husband uses Hudlr to track his Uber and Lyft expenses. It’s a good way to track all your mileage, Uber only tracks the mileage when the app is on. He puts in every oil change and maintenance work that is done to his car. Nice way to have all his expenses and income from driving in one place! That’s a great idea! Really smart of him to track all of it like that. I’m sure it saves a lot of time. It’s expensive @$59.99/yr for what is provided. I could easily do this in a spreadsheet or I’m sure there a other free apps. Also beware if you “forget” about it will auto renew. This just happened to me with no pre-warning that an annual billing by Google Play was about to drop. I’m contesting it, but not sure the hassle is worth it. The peace of mind is worth it to me. I can easily mess up a spreadsheet with the wrong information if not careful, and I honestly don’t have the time to constantly update something. Having that one bit automated is really nice and works well for me. But if that system works for you, go for it! Just now installed on my phone and I get a message that says: “Were giving you five days for free – no strings attached.” What happens after 5 days? You choose the free plan (less features) or the paid plan.